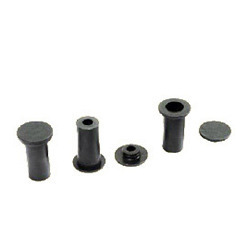 Our clients can avail form us an extensive range of rubber glands that are manufactured using premium quality NBR and are extremely durable. 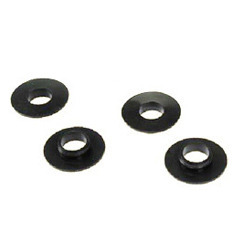 Available in customized specifications, these rubber glands are offered to our customers at industry leading prices. Available with us is a wide range of industrial panel bushes that find application in different industries. 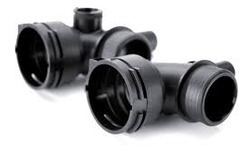 Offered at competitive prices, these panel bushes can be designed as per the specific demands of our clients. We manufacture an extensive range of hostaform bushes that are manufactured using high grade raw material and are appreciated by our clients for their consistent performance. Applicable in diverse industrial such as electrical, automobile and others, these hostaform bushes can be customized according to the specifications provided by our clients. Exporter of a wide range of Industrial Rubber Products. We sufficiently enrich our hot compound with antioxidants to enhance its durability, when compared to other brands. Justifying our position and standing in the industry, we are betrothed in bringing forth a world class gamut of Injection Moulded Components.